Computer programmers are well-educated specialists who write computer software or codes which instruct computers what task to perform, and in what order. The compiler software takes the program code, converting it to 1’s and 0’s; which are the binary terms in which the computer thinks so that it understands and run the targeted program. In most instances, computer programmers may work in one of the many different areas of the field of programming, others requiring a greater degree of technical skills than others. 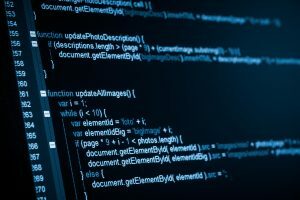 Just like any other career sector, the programming world is wide and covers system programmers, game developers, web programmer and application developer, among other areas. So you have just completed your degree in programming and wondering what to do in the job market? Well, worry less because you have lots of opportunities to showcase your skills. There are many careers related to computer programming. Stay tuned and see for yourself. Computer and Information Research Scientist. Programmers in this category invent and design the latest approaches to the technology of computing and identify innovative uses for existing technologies. Here, you’ll be charged with the duty to examine, study and find an amicable solution to problems in computing for medicine, business, science and other fields. Yes, as a computer programmer, you can work as a hardware engineer too. Here you will be expected to research, develop, design and test computer components and systems such as memory devices, circuit boards, processors, routers, and networks. You are also expected to discover current directions in information technology and equipment, so as to generate quick advances in technology. Computer and Information System Manager. As a computer and information system manager, you are expected to plan, coordinate, and guide computer-related activities in an organization or any relevant firm. You’ll help determine the technological goals related to information in the organization, and implement computer systems which can contribute to meet the set goals. Website developers design, create and develop sites. They are responsible for the general outlook of the site. Additionally, they also monitor the technical aspects of the site including capacity and performance; which are critical measures of a site’s speed and how much traffic the website may handle. Moreover, as a web developer, you may also create relevant contents for a site. As a Software Developer, you are the most creative mind behind the computer programs. Some computer programmers develop and create the applications which allow individuals and companies to perform specific tasks on computers and other devices. Some develop the underlying systems which control networks or run devices. These provide a broad range of support and advice to both organizations and individuals using computer software or other equipment. Some may be called computer network support specialists; offer consistent support to workers of an organization. Others, known as the user of equipment experts, are charged with the duty of helping non-IT users who may have computer problems. In this area, you will be expected to use specialized tools and software, to help various such as a financial institution to store and organize data in a suitable manner both for safety and easy retrieval. Your primary job will be ensuring that all information of an organization are available to users and secure against unauthorized users. As a computer programmer, you may assist in designing and building data communication networks, such as intranets, local area networks (LANs), wide area networks (WANs and so on. Such networks range from connections that are small, such as between two adjacent offices and the next-generation networking abilities such as the cloud infrastructure which serves multiple users and customers. Your knowledge in computer programming is also essential in studying the current procedures and computer systems of an organization, and offer the needed support to help the firm to function effectively and efficiently. In short, you contribute to combine Information Technology and business together, by understanding the advantages and the limitations of both, for more production. There is no doubt that a career in computer programming is full of opportunities. However, to keep up with the current technological changes, as a computer programmer, you must take a continuing education and professional educational seminars, so that you may learn new advancements and other upgrades. If you are looking for a faith based approach to addiction treatment centers, take a look at Zion Recovery Center – the best Utah drug rehab center.